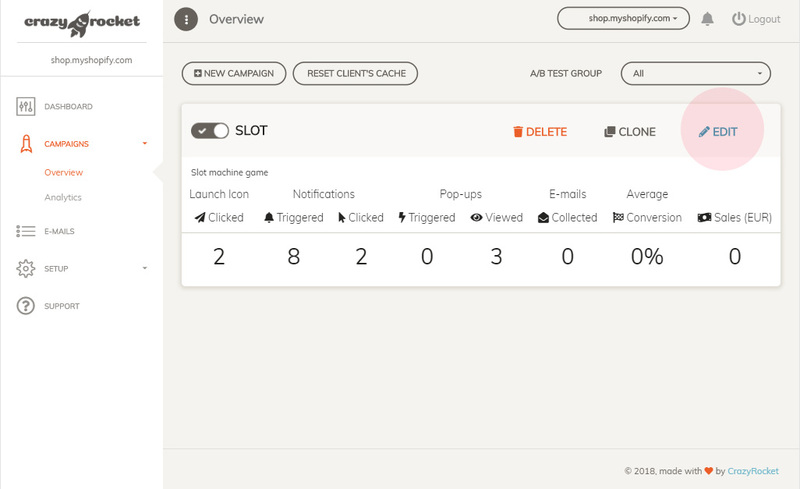 CrazyRocket provides a Launch Icon and a full set of triggers (leave intent, time on site, page views, scroll position) to engage users and show the gamified pop-up. 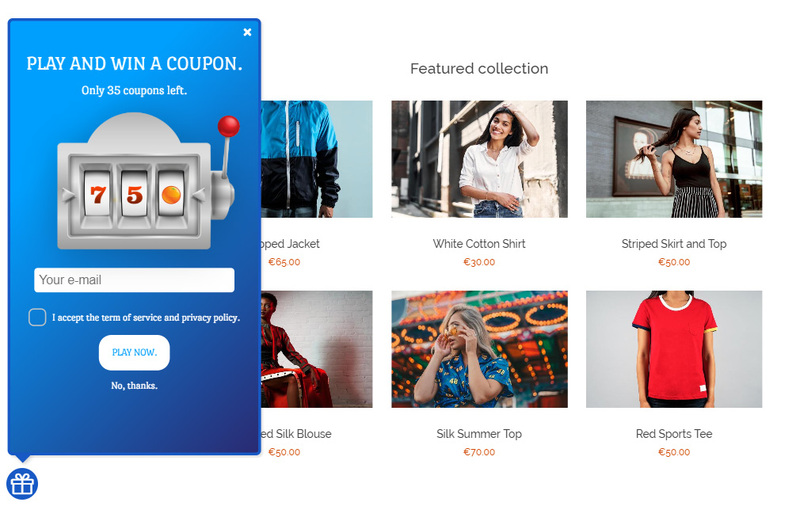 Depending on your shop's target - and the product you are selling - your visitors may find pop-ups a bit aggressive... that's why we introduced the "Behavior-driven Notifications"! 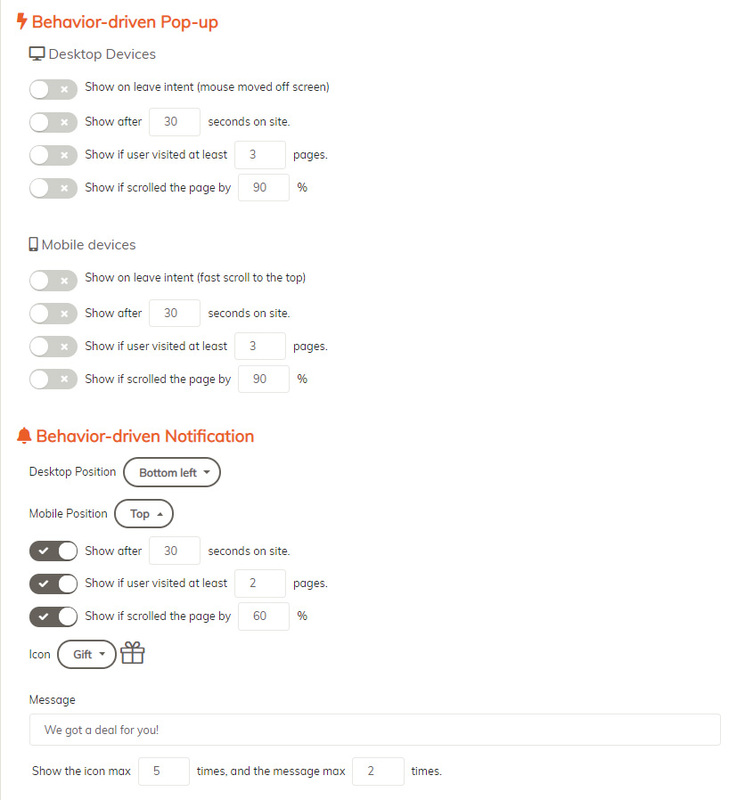 Behavior-driven Notifications provide a "soft way" to catch user's attention thanks to a small notification (icon with a short message) at the bottom of the screen. 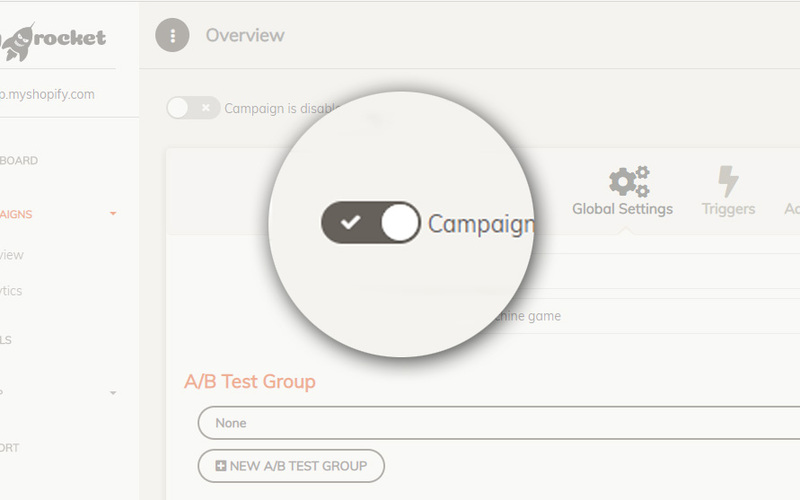 Notifications can be triggered by time on site, page views and scroll position. 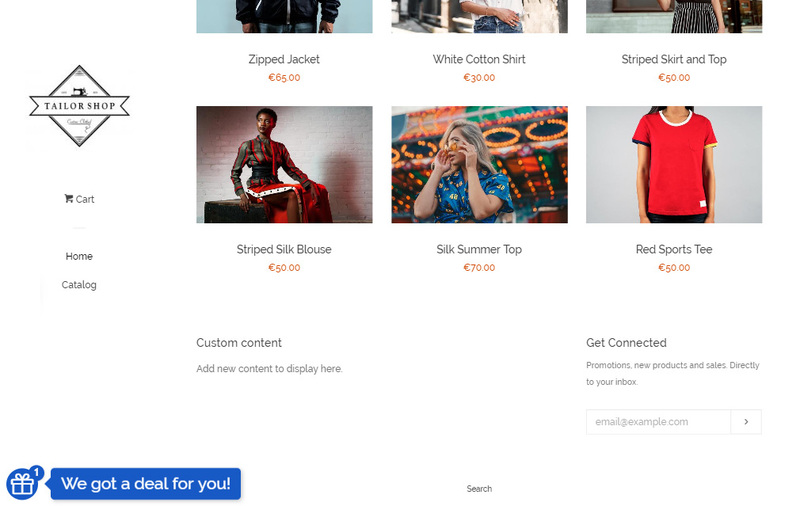 A small notification should show up at the bottom of the screen, click it to open the pop-up.